I took a day away from the studio today and spent a few pleasant hours wandering the show floor at the Brisbane Craft and Sewing Show. It was fun to be a visitor instead of a demonstrator or a teacher for a change. I got to do what you all get to do and that's browse, shop and learn. 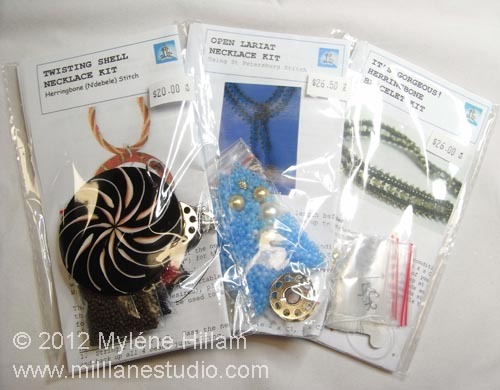 Well, I didn't have time to actually take a class but I did buy some beading kits which is basically a class in a kit! It will be a nice change of pace to follow instructions instead of writing them! I also found some new moulds to work with. 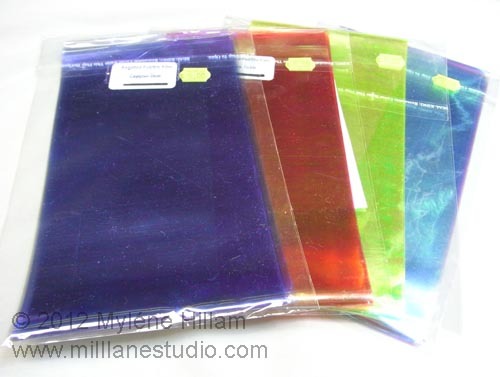 I love silicone moulds and I'm always on the lookout for new shapes and designs and today I found two new vendors to check out, both of them are cake decorating suppliers. Not many of you would know that many years ago I was a cake decorator and spent many years refining my skills in this craft so after all these years, it was refreshing to see cake decorating represented at the craft show. 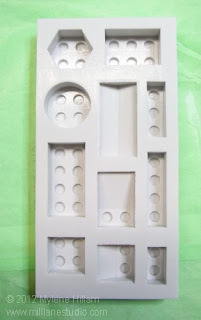 How cool are these "building brick" shape moulds? 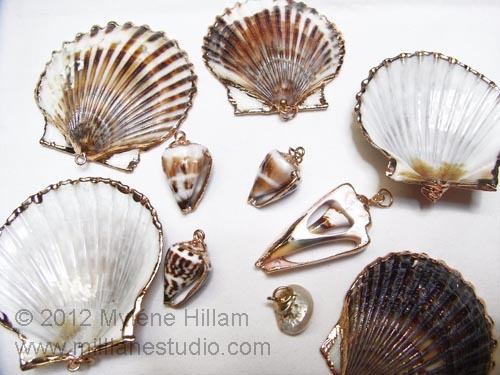 And look what else I found..... some wonderful fan shaped shells edged with gold. I know these have been around a while, but as soon as I saw them, a light bulb went off in my head - I have some special projects in mind for these little beauties. And after all the projects I've been working on recently for my new tutorials, I've pretty much exhausted my supply of Fantasy Film so I was glad to find Angelina Film at the show. I picked up a few colours which I don't have in my stash. With so many new "toys" to play with, I'm not quite sure where to start. Perhaps with a beading kit in front of TV. Yeah, that will be fun - can't wait to get started! I'll be back again soon..... have a great weekend!